The study of the ideals of chivalry is almost insuperable from the study of arms and armor, and the men (and women) who used them throughout history. In that regard, the new book Swords And Swordsmen by noted historical interpreter Mike Loades (Pen & Sword Books, Oct. 2010, 494 pgs.) is a fascinating read for anyone who is enthralled by the lore of the sword, not just as an icon of the medieval knight, but as a symbol of the highest ideals of martial endeavor throughout history. Fans of historically based television programming on the History, Discovery and National Geographic Channels will immediately recognize Loades from his many appearances as an expert commentator on a variety of shows. 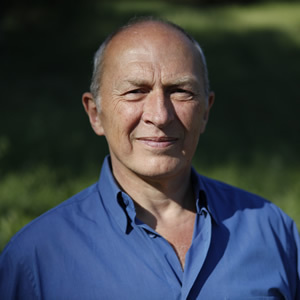 Perhaps just as recognizable as his face, however, is Loades’ eager and enthusiastic voice as an advocate of active, engaging historical studies. His philosophy is based on the premise that history can’t be truly understood from a distance – and Swords And Swordsmen is written in precisely this vein. The book straddles eras from Ancient Egypt during the rule of Tutankhamen (in 1336 B.C.) to the military careers of J.E.B. Stuart and Gen. Custer. Almost every chapter focuses on a sword representative of a specific historical era, using the weapon to delve deeply, and sometimes very personally, into the background of a historical figure who carried and used the blade (or, at the very least, who probably carried and used one much like it). In this way, readers learn about figures as prominent as King Henry V, Oliver Cromwell and George Washington, but also meet some lesser-known characters like King Raedwald of the East Angles, Japanese warlord Uesugi Kenshin, and Hussar Lt. Henry Lane who fought in the Battle of Waterloo. In each case (and many more) Loades figuratively lays the reader’s hand on the hilt of the peculiar weapons carried by these notable (and in some cases, “notorious”) individuals, and brings to life the struggles, desires, triumphs, and ideals that informed their use of the sword. Interesting as that is, however, the thing that truly sets Swords And Swordsmen apart from other military history surveys is Loades’ ability to reference his own experiences in the use of swords and the implementation of historical fighting techniques. What’s it like to stand in a Viking-age shield wall, steal through the night like a ninja, or lead a cavalry charge with sabre in hand? Loades provides first-hand accounts of such incidents, drawn from his own experiences as a fight coordinator, stunt man, and historical interpreter – and his up-close, practical applications of swords in battle (simulated battle, at least) helps to shatter some long-held myths about swords and the warriors who used them. Yet this personalized view of historical weaponry is (to use the appropriate metaphor) a double-edged sword: Although it lends a sense of liveliness to Loades’ writing, it also lays out a tempting path to bypass documentable historical detail. Still, Loades generally does an admirable job of avoiding the “they must have done things like I did” assumption that, particularly in the lack of real historical evidence, can too often lead experimental historians astray. But a sword is more than merely a lethal tool. 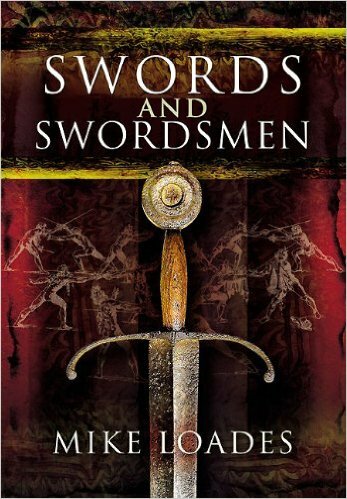 Throughout Swords And Swordsmen, Loades’ individual perspective similarly lends a unique air of authenticity in discussing not just the technical details of historical weapons and tactics, but also the principles and ideals that lie behind the image of the sword as the symbol of a champion, a protector and a “knight in shining armor.” Recognizing how the chivarlric ideals have mutated throughout the ages, Loades infuses his study of the sword with observations of the sense of chivalry and honor that both inspired and were affected by (and, frankly, were just as often ridiculed or ignored by) figures such as Henry V, Emperor Maximilian, Shakespeare, Napoleon and J.E.B. Stuart (to name just a few). 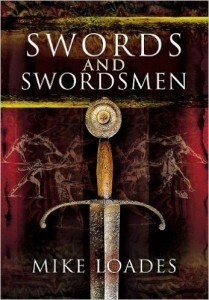 From its earliest pages to its epilogue (which treats the sword in its modern incarnation from a 19th century dueling implement to the modern sport of fencing), Swords And Swordsmen makes it clear that no study of the design, function and symbolism of the sword can be entirely complete without an understanding of the code of chivalry, and vice-versa. Learn more about Mike Loades and his work as an experimental historian, fight arranger, director and author at his website, and on his Facebook page. Listen to Mike Loades interviewed by Chivalry Today Program Director Scott Farrell on Episode 48 of the Chivalry Today Podcast. Below: Watch a segment from the BBC television program Weapons That Made Britain, featuring Mike Loades commentary on the swords of the Wars of the Roses and the decisive Battle of Barnet (1471).